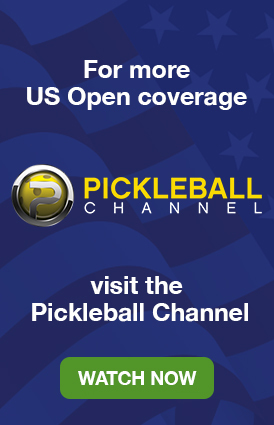 There are several ways we can create a VIP experience for you at the US Open. See great matches up close and personal in a Gold Box, enjoy limited free food and beverages in the Margaritaville VIP License to Chill Lounge, receive special commemorative gifts, and enjoy the convenience of VIP parking. VIP packages are limited, so please reserve soon! 7 Days of the VIP Experience! Contact us for more information and to secure your Gold Box. Whether you are playing in the event or just coming out to watch, when you purchase a Patron Package, you will be treated like a VIP! A US OPEN commemorative paddle, exclusively from Paddletek, the Official Paddle of the US Open. 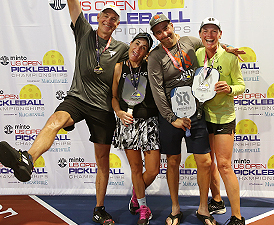 Go to PickleballTournaments.com during the general registration period to sign up for a Patron Package. * Please note: If you choose to enter the tournament, the fee of $600 for your Patron VIP Package DOES NOT include your tournament registration. 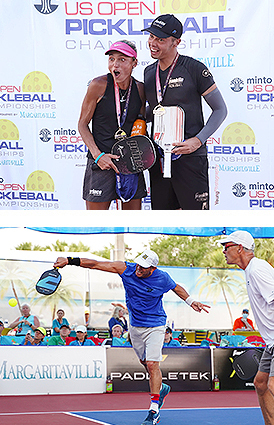 You will need to also register as a player and pay the registration fee of $80, and per event fee of $30 for each event entered.Transferring your Margaritaville VIP License to Chill Lounge credentials will result in suspending your credential for the remainder of the event. No refunds will be given. Lost or stolen credentials will not be replaced. Please keep them in a safe place.